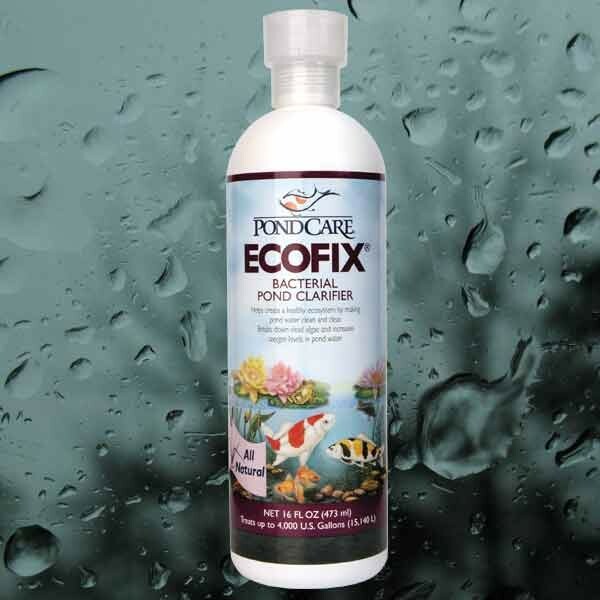 By digesting sludge and reducing dissolved organics, Ecofix reduces organic pollution, increases the concentration of dissolved oxygen in the water and creates and maintains a healthy ecosystem in your pond. 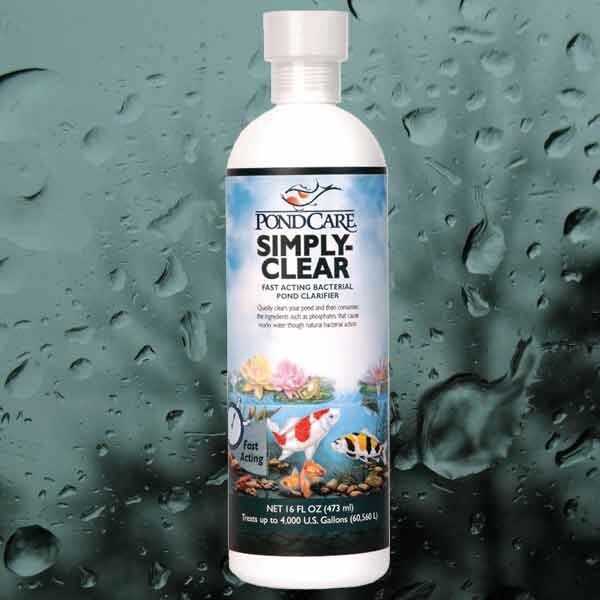 Makes pond water clean and clear. Increases oxygen level in pond water. 16 oz. bottle treats 4000 gal. 32 oz. bottle treats 8000 gal. 64 oz. bottle treats 16,000 gal. 1 gal. bottle treats 32,000 gal. 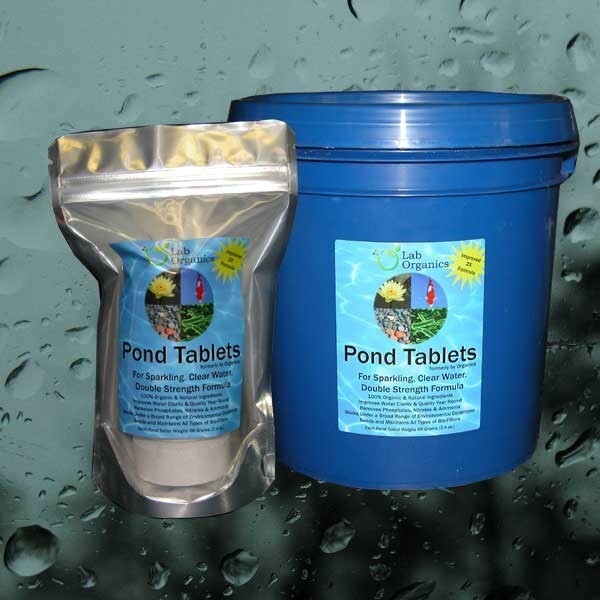 Lab Organics Pond Clarifier Tablets contain a unique microbial system specifically formulated to remove excess organic pollutants such as phosphorous and nitrates from the entire water column. When aqueous enviroments are overloaded with organic contaminants they tend to become murky and the entire aquatic ecosystem becomes unbalanced. Year ‘round formula – works in cold water, too! 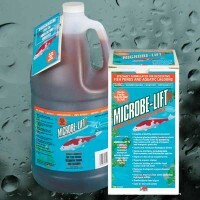 Microbe-Lift PL provides sustained biological activity in water temperatures even under 55 degrees. It helps to reduce ammonia and nitrogen levels and reduces animal waste buildup. PL will seed and maintain biological filters and will improve dissolved oxygen levels. It digests organic sludge, reduces unpleasant odors and breaks down both dead algae and uneaten fish food. 100% safe for humans, plants and wildlife. 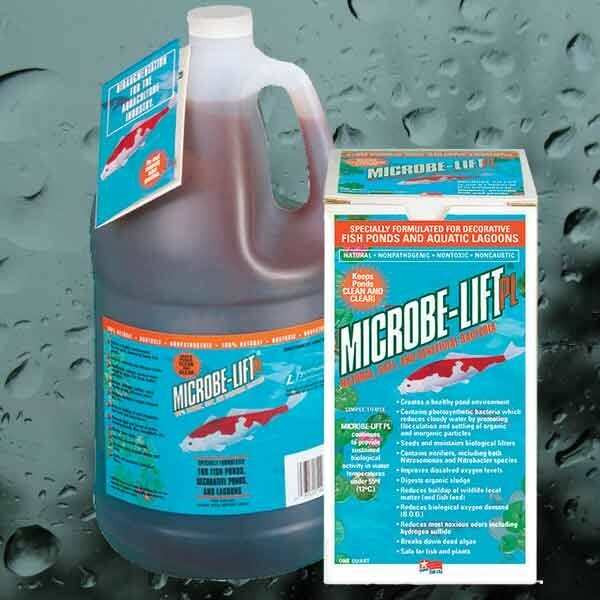 Microbe-Lift PL should be used in conjunction with other Microbe-Lift products in ponds with especially difficult water quality problems...or if an extremely high level of water clarity and cleanliness is required. PL is effective even: if your pH is high or low with or without sunlight if alkalinity is high or low if oxygen level is high or low Microbe-Lift PL is an extremely useful, versatile product and is sometimes used as a stand-alone maintenance solution for general pond health and water clarity. OneFix is Scientifically formulated in a controlled environment to bring your pond the most powerful bacteria treatment available to clear ponds naturally. 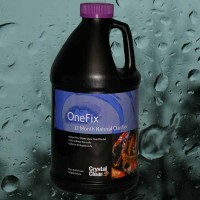 OneFix is a concentrated bacteria and enzyme blend that can be used on any water feature no matter how large or small. OneFix will remove ammonia, nitrite, nitrate, and organic debris (dead leaves, uneaten fish food, fish waste, etc.) that cause water clarity problems in aquatic environments. 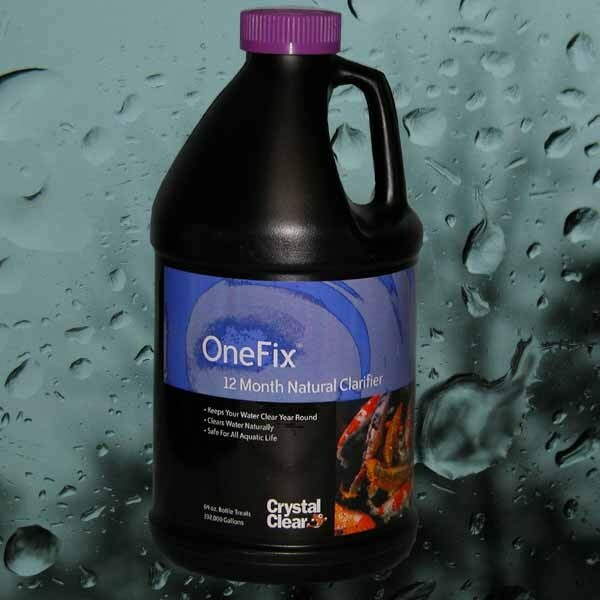 Use OneFix year-round, even in the winter to keep your pond crystal clear all year long. 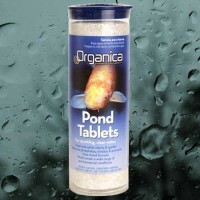 Organica's Pond Clarifier Tablets contain a unique microbial system specifically formulated to remove excess organic pollutants such as phosphorous and nitrates from the entire water column. When aqueous enviroments are overloaded with organic contaminants they tend to become murky and the entire aquatic ecosystem becomes unbalanced. 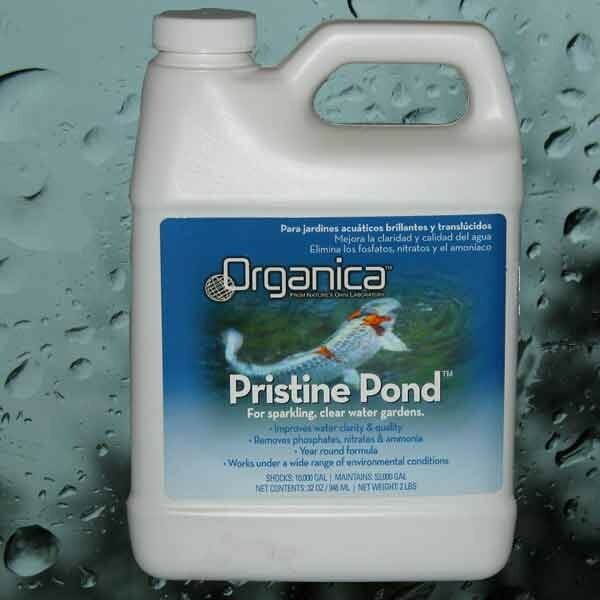 Pristine Pond is a microbial based water treatment specifically formulated to help restore ecological equilibrium in ponds and lakes. In most cases poor water quality results from an overload of nutrients, primarily excess phosphates, nitrates and ammonia. Over time this nutrient buildup creates an unbalanced ecosystem. Pristine Pond creates clean pond and lake-water through a natural biological process. This microbial based product contains aerobic and facultative bacteria capable of biodegrading cellulose, lignin, hydrocarbons and other organic pollutants in aqueous enviroments. Pristine Pond also contains select microbial strains, which utilize the excess phosphates, nitrates and ammonia in the water column to satiate their metabolic functions. When excess nutrient load is removed the end result is improved water clarity, reduced sediment and suspended particulate matter, a reduction in foul odors and an overall improvement in water quality. 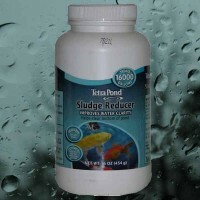 Clears pond water faster than other bacterial products. The unique bacterial strains in Simply Clear grow faster than conventional enzyme-producing bacteria. They also release a natural polymeric coating into the water that flocculates small particles. This natural flocculation process clears water of all materials including clay, silt and debris. At the same time the bacteria will consume high volumes of phosphate and nitrates, removing nutriants from the water that would otherwise degrade water quality. Clarifies water of organic and inorganic materials. Contains beneficial microbes that promote a healthier enviroment. Can be used in all ornamental koi ponds and water gardens. 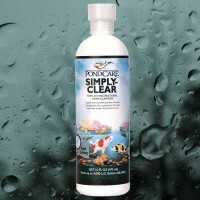 Simply-Clear is formulated to work in both cold and warm water. Accidental freezing of this product will not reduce its performance in the pond. In cold water (below 40ºF) the activity of Simply-Clear, as with all bacterial products, will be reduced.